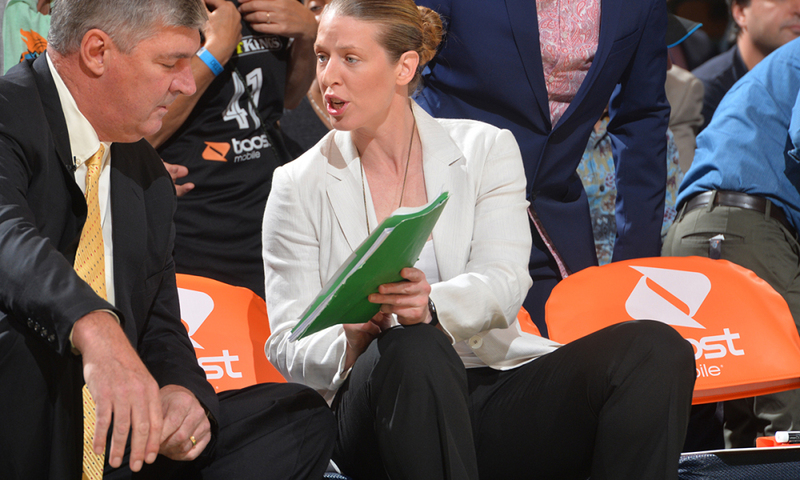 WASHINGTON — Long before Katie Smith, a 17-year veteran of the WNBA, knew she was going to become a coach there was no shortage of coaches who told her she would join their ranks one day. Smith replied that she was going to go to dental school or do something else, but Thibault wouldn’t listen. Neither would Liberty coach Bill Laimbeer, who picked her up years later for her 17th season in the league with the understanding that she was going to have a spot on the bench with a clipboard when she was finished. By then she had agreed to give it a try. She had worked as a graduate assistant while she was finishing her Master’s degree at Ohio State. 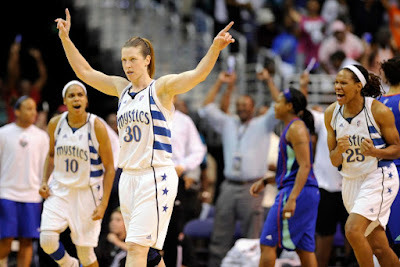 So after the 2013 season, Smith quietly retired from the league – telling the Wall Street Journal she was retiring because “I’m old,” – and joined the Liberty coaching staff. “She has knowledge, experience and because she’s kind of seen it from the outside, you know going back to Ohio State in the offseason and being around that program I think gave her a different perspective,” Thibault said. Laimbeer said he knew she had promise as a coach because of her competitiveness and understanding of the game. “I think she didn’t realize how many hours coaches put in, but she’s coming to grips with that and she does a fine job,” he added. Smith’s life, which was once filled with workouts and shooting drills, is now full of scraps of paper that she grabs to draw plays whenever she sees one that she likes. Her big project now, she said, is trying to compile her notes into at least a Word document or through a computer program that allows coaches to draw plays and organize them by situation. Smith, it seems, is something that every program would want in their coach: A dedicated mentor, smart and ambitious who left a mark in the history books during her playing career. She was promoted after only two seasons with the team and seems destined for a bigger job. So what’s next? A trip over to the NBA or men’s side? Not for her, she said. “The NBA is interesting,” she said. 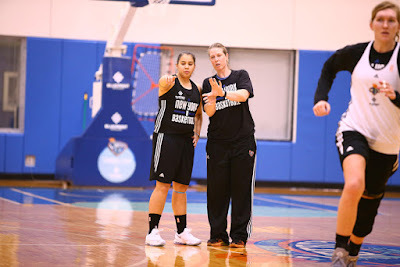 “I think you think about it especially with Becky Hammon as a trailblazer and Nancy Lieberman. But for me, being in the women’s game, something that gave me so much is something I’d like to give back. Laimbeer said he saw her going onto being a college coach next. “The WNBA is finite. There’s only so many jobs and the salaries are finite,” he said. He said he didn’t see the NBA as the place where she should land either. 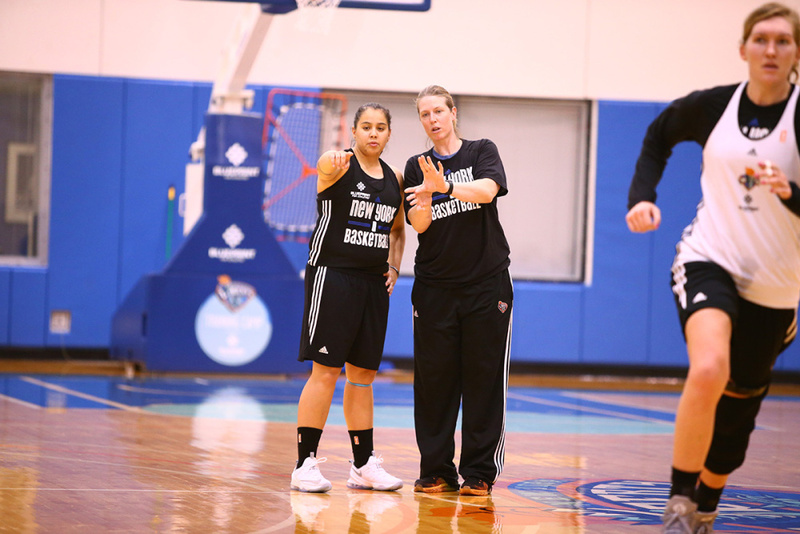 Smith is one of two WNBA legends on the Liberty coaching staff. She works alongside Teresa Weatherspoon, who came back to the team that she once starred on after being fired from Louisiana Tech. Weatherspoon, a self-proclaimed gym rat, is considered by the team to be incredibly valuable at player development. Weatherspoon said when it came to sticking with the women’s game over looking for a higher-profile chance on the men’s side, she understood Smith’s decision. It’s part of why she came back to the league as well. “You can’t knock other people’s goals and where they want to be and where they want to sit. You don’t want to in any way say that’s the wrong thing to do,” she said. “… Now how special is it when you come back to the WNBA and give everything that you can in this league because we talk about visibility, we always talk about the marketing aspect of the WNBA, the growth of the WNBA. The 2007 New England Patriots were an unstoppable machine, at least during their perfect 16-0 regular season. The offense was and still is the most prolific ever, while the defense was its perfect counterpart: opportunistic and efficient. If there is one game exemplifying this, it is the team's week 8 game against the Washington Redskins. Probably the best player on the field that day was linebacker Mike Vrabel. Vrabel had already registered 4.5 sacks and one touchdown reception in New England's seven prior wins. However, those performances would pale in comparison to his one against the visiting Redskins in late October. 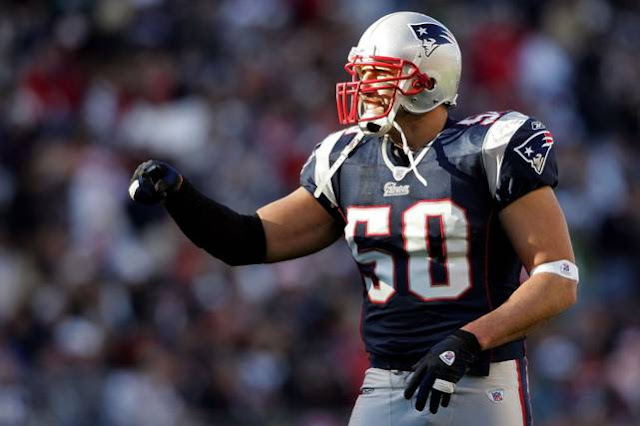 After the game's first quarter, which saw Vrabel record three tackles and the Patriots take a 7-0 lead, the versatile linebacker started dominating the contest – both on offense and defense. With 8:12 left in the second quarter and the Patriots facing a 2nd and goal from Washington's two-yard line, the part-time tight end Vrabel took the field. After faking the hand-off to running back Laurence Maroney, quarterback Tom Brady found Vrabel uncovered in the right half of the endzone. The then 32-year old had no issues catching Brady's pass and the Patriots took a 14-0 lead. It was Vrabel's 10th career touchdown on his 10th career catch. While he was an efficient tight end, Vrabel's main occupation was playing defense – and he showed it on Washington's next possession, just four plays after his touchdown catch. On 3rd and 5, Vrabel was able to fight his way through the Redskins' offensive line to sack quarterback Jason Campbell for an eight-yard loss. While doing that, the linebacker knocked the football loose; Ty Warren recovered the fumble and four plays later New England led 17-0. After Washington's next possession ended with an Asante Samuel interception and the Patriots gave the football back on the very next play via a Brady fumble, Vrabel was back in the spotlight. Facing a 3rd and 4 on New England's 23-yard line, Vrabel was again able to get to Campbell. Once again, the quarterback was sacked. Once again, he lost the football. Once again, Ty Warren recovered it. Once again, the Patriots turned the takeaway into points and thus entered intermission with a 24-0 lead. New England's dominance continued in the second half, as the team marched 85 yards on 13 plays to widen the lead to 31 points. Four plays later, the Patriots led 38-0 – once again because of Mike Vrabel: on the Redskins' first possession of the third quarter, the outside linebacker was able to sack Campbell for the third time, forcing a third fumble. This time, Colvin was able to scoop up the loose ball and he returned it 11 yards for the touchdown. Vrabel's contributions that day were not limited to offense and defense: he also recovered an onside kick late in the fourth quarter (and with the Patriots already up by the final score of 52-7). Overall, the linebacker finished the game with a touchdown, three sacks, three forced fumbles, ten additional tackles and said kick-recovery. It was a dominating performance by the linebacker, who earned AFC Defensive Player of the Week honors because of it and was later that year selected to his first Pro Bowl and All Pro team. It also was a vintage Mike Vrabel game as he was a game-changer in all three phases. 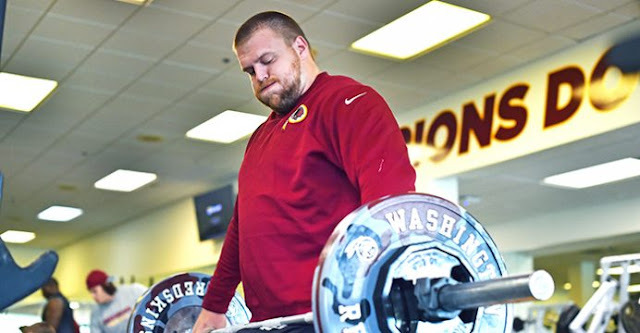 Washington’s first-round draft pick Brandon Scherff has had a busy year adjusting to life in the NFL. He was moved from offensive tackle, his position in college, to guard during the first few weeks of training camp. In addition to switching positions, he also had to learn an entirely new playbook after spending the previous five years mastering the Hawkeyes’. Washington made the playoffs, and Scherff got a taste of something rare in the NFL — postseason football. While Washington lost in the first round, it was a successful year for a franchise coming off a 4-12 season in 2014. The transition has been nearly seamless and much of that credit, he says, goes to the Iowa coaching staff, especially strength and conditioning coach Chris Doyle. Scherff made the Pro Football Writers of America All-Rookie team and was widely hailed as a massive success. He was also one of the most consistent players on the team, missing exactly one snap in his 17 starts. Pro Football Focus’ Mike Renner said Scherff graded out as one of the top guards in the league. There are, however, some things for Scherff to work on. There were a few pass-blocking issues at Iowa, and Renner says they have carried over a bit. Even so, according to Pro Football Focus, Scherff gave up just 2 sacks this season. He was also only assessed for just three penalties this year, a solid statistic. 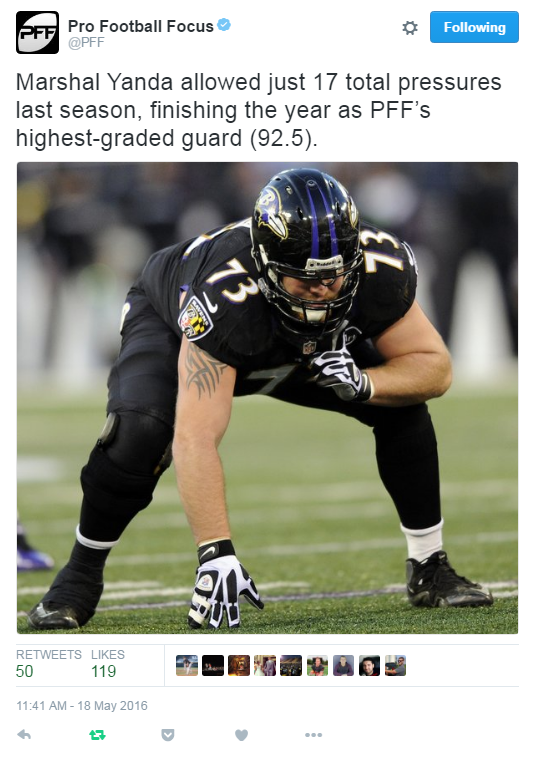 Washington will expect quite a bit out of its now second-year guard next season, and Scherff sounded like he’s up for the challenge. It’s now the middle of the off-season, and Scherff has been busy in the weight and film room, preparing for coming season.